Flat 3010 off.Flat 3010 off. I liked the product, I am a general user of mobile. For me the camera is quite OK. Super Amoled screen does the job. Processor along with RAM is OK. No lags found. Internet speed is also quite good with Jio connection. Overall,a good phone in this price range. 1. Display - screen revolution is very good. 2.Face unlock is slow and fingerprint sensor is also not that great. The galaxy J8 is a good choice according to the price. The camera is outstanding. Its performance is okay. Overall a good phone. According to me, the phone has got the best features at this price in the market. Especially the camera performance is outstanding. Don’t expect premium performance with the phone, the phone comes with most of the flagship phone features but they work just fine, face unlock is like for the show it just works in good lighting condition otherwise either it doesn’t work or works real slow. The performance of the phone is also not that smooth it lags a lot while using multiple apps simultaneously. Though camera performance is decent. 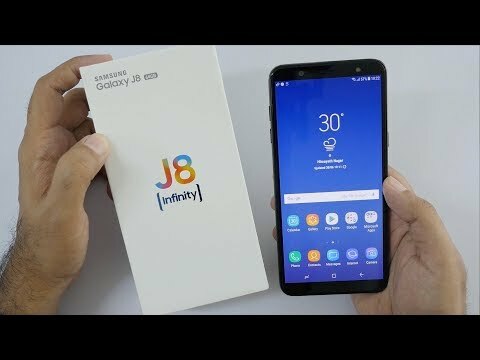 28 Pricebaba users have written their experience with Samsung Galaxy J8 2018. If you own Samsung Galaxy J8 2018, please do leave your feedback too. Lowest price of Samsung Galaxy J8 2018 price in India starts at Rs. 13,990 Samsung Galaxy J8 2018 is available on Flipkart at Rs. 13,990 and on Amazon at Rs. 14,990. Prices updated on 22nd April 2019. On the front, the Galaxy J8 comes with a slightly bigger display spanning across 6-inches. Just like other latest phones in the market, the J8 too sports a bezel-less display with a Full HD resolution and an 18:5 aspect ratio screen. For an enhanced viewing experience, the display is layered with a 2.5D curved glass on the top. Audio accessories can be connected with a 3.5 mm headphone jack provided. The J8 ships in only Black color variant. In the photography department, the Galaxy J8 is equipped with a dual rear camera setup comprising of 16MP primary sensor accompanied by a depth of field 5MP sensor. On the front, there is a 16MP snapper for clicking selfies. Both the cameras are paired with LED flash for enhancing pictures in low-light. The Samsung Galaxy J8 is powered by a 1.8GHz Qualcomm Snapdragon 450 octa-core processor. The processor is coupled with 4GB RAM and an Adreno 506 graphics processor onboard. In terms of storage, this device offers 64GB internal memory with an option to expand up to 256GB via microSD card in case of additional requirements. The Galaxy J8 runs on Android 8.0 Oreo OS out of the box. The Galaxy J8 runs on a 3500 mAh non-removable battery. It offers dual SIM functionality and nano SIM card is required for networking. For connectivity, all the basic options like 4G LTE, 3G, 2G, WiFi, Bluetooth & VoLTE are included on this device. Ans: Yes, the Galaxy J6 is compatible with nano SIM cards. 3. How is the camera performance of this phone? Ans: The Galaxy J8 has a dual rear camera, so you can expect great pictures. 4.What type of charging connector do i need? Ans: This device requires a standard micro USB connector for charging. Ans: Along with the device, you will get a charger and cable separate and a user manual inside the box.